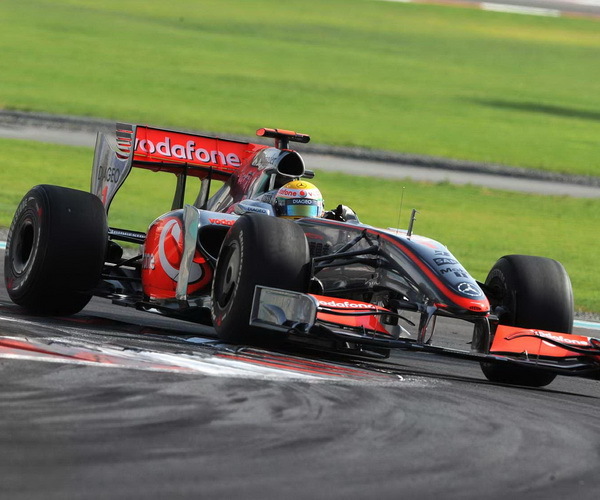 I admit, I’m not a big fan Formula 1. But the hype surrounding the Vettel – Alonso – Webber racing love triangle has even lamens like myself following the race closely to see who’ll be the most likely to secure this years championship. 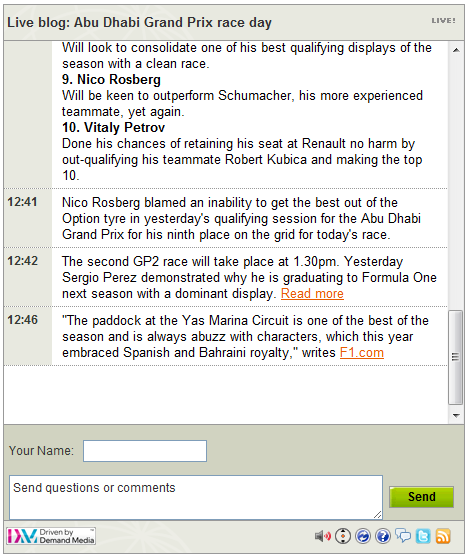 If you are big on Formula 1 racing TheNational have done a good breakdown of how and what they expect to happen by 7pm SAMT today. 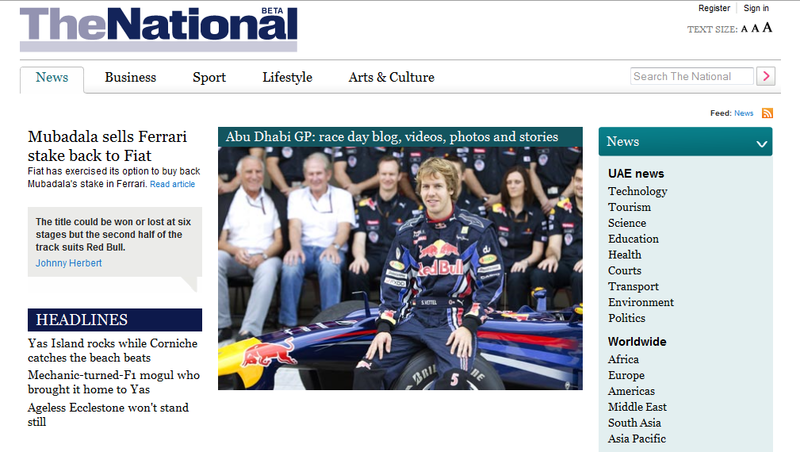 So I guess it makes sense TheNational newspaper being one of the UAE’s recent leading English publications having launched only in 2008, would be the first newspaper (in the tradional sense of a newspaper) to use a Live Blog in the region as far as we know. Live Blogs and similar event coverage has been a feature solely provided by blogs and online tech magazines such as The Next Web’s coverage of MENA ICT Forum last month. Now with Social Media becoming more and more popular we see things like live tweeting, live blogging and even flickr streams to create a more interactive experience for readers. The move although bold from such a young publication follows a recent revamp of their online interface as well as a release of iPhone app in a clear statement of how it wants TheNational journalism to be. Providing such coverage also proves publications in the Middle East feel the need to be more real-time than ever before, especially in a country like the UAE with one of the regions highest in Internet penetration. Their new interface appears to be the enabling factor TheNational have lacked before to pull off such feats. Although the current beta version has failed to include the publication’s 6 popular online blogs (among which beep beep is our favorite), it does make navigating and consuming data a lot easier. We sincerely hope TheNational ups its journalism standards along with its website budget, just so that we can still consider what they do as journalism and not just 2 day old scoops with real-time toys on the side.